week so I went through some of my pictures & picked out a few of my favorites. 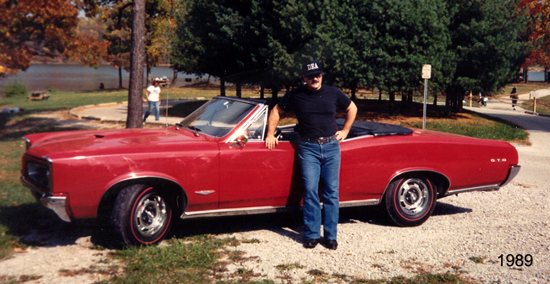 Built my Junior Year of High School, August 1970 this 50 something Plymouth Savoy was my first project. I didn't win the Demo Derby. 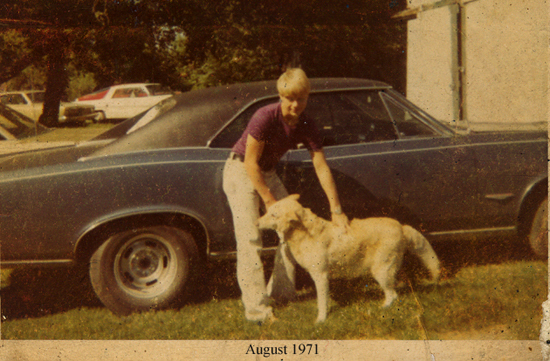 That's me at 17. Tuff Guy. 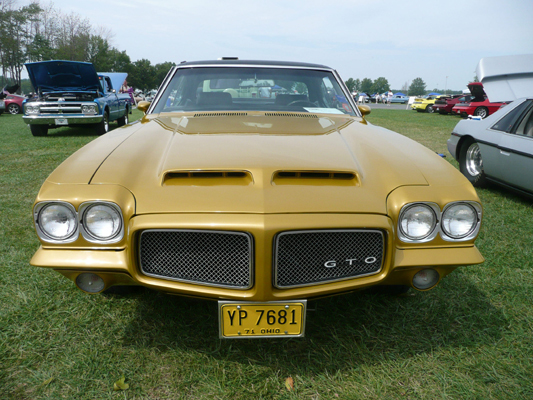 GTO I drove my senior year of high school in 1971. Three clutches, two rearends, and a blown motor. 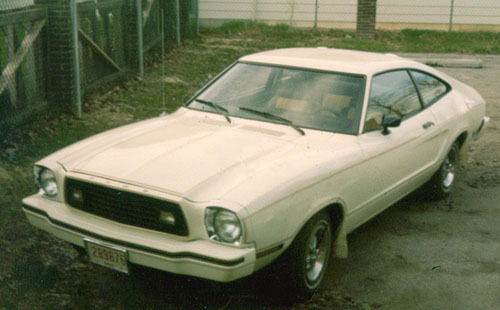 This was my third car. The first was a 1953 Packard Clipper with a straight eight. 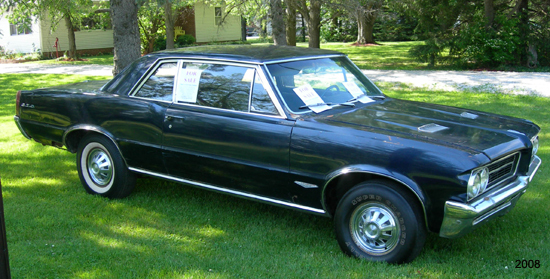 The second was a 1963 Chevy II with the ticking six banger. 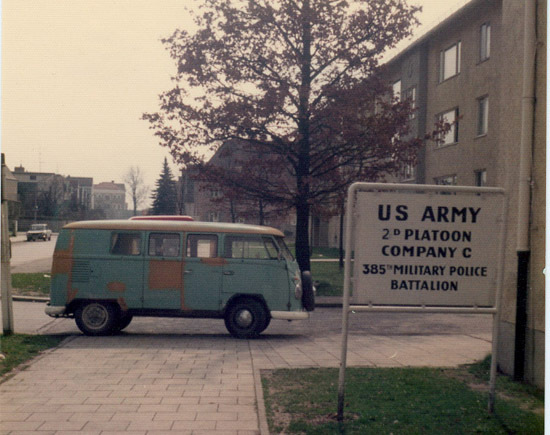 Purchased in 1973 when I was assigned to C. Co. 385th in Munich Germany. 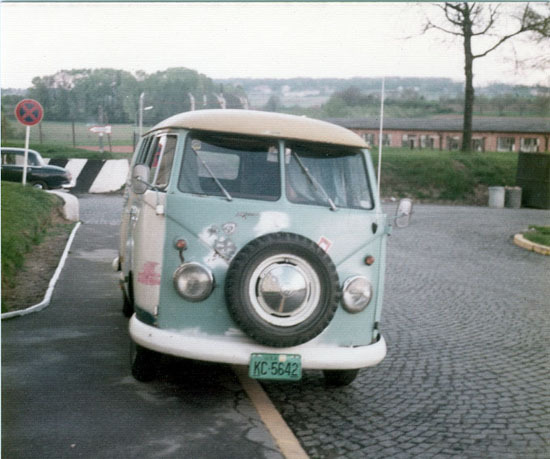 Lovingly named the "Green Weenie", it was a 1960 something VW Camper. Later on I customized it with some stick on ducks. I spent a lot of nights at the stream in Auschauzen, Germany, camping & fishing. 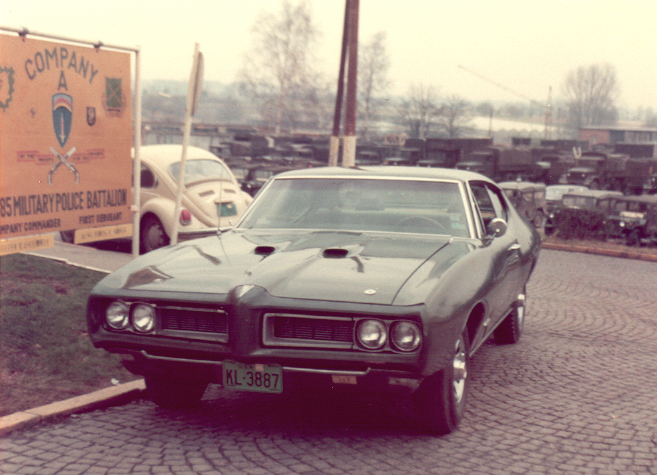 These cars were great on the Autobahn, with few speed limits. 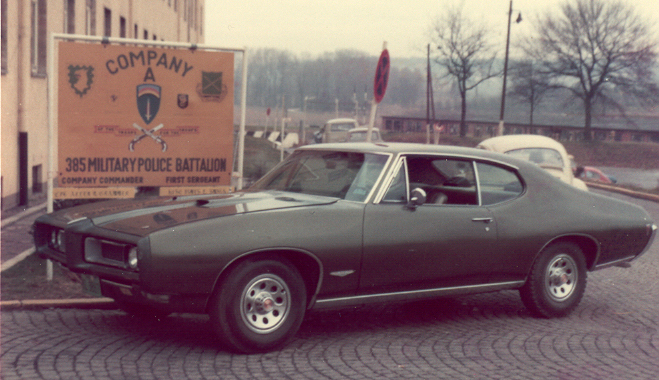 Purchased when I was assigned to the 31st MP Det in Stuttgart in 1975. 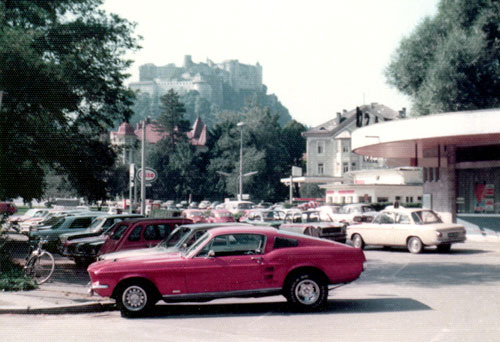 This 1967 Mustang GTA had a 390 C.I. Motor & Auto Trans. It had an MP radio mounted under the passenger seat. I used it plainclothes. Photo on the right was taken in Austria. 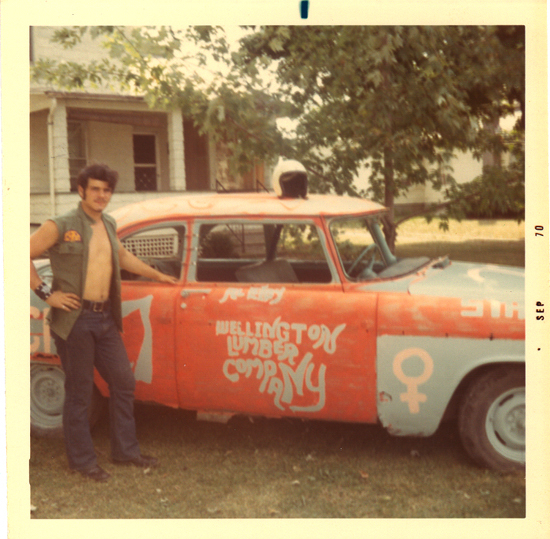 I brought this car home with me in 1976. Those are L-60 15s on the rear. I came home in 1976. 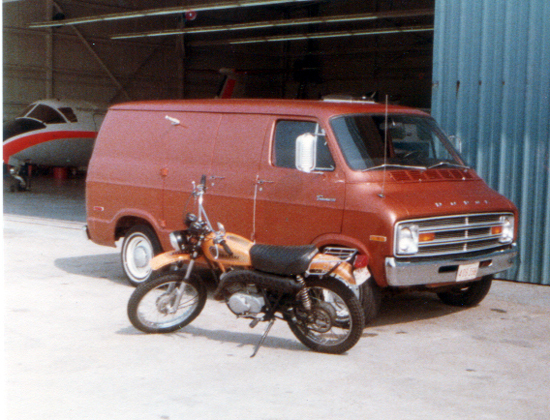 I traded the GTA for a Dodge Van in 1977. When Disco was hot & vans were cool! I also rode this Kawasaki Enduro. I worked at a local airport until I was hired on the police department. 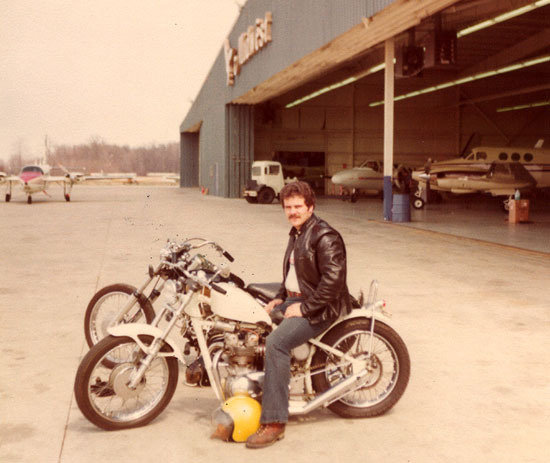 This was my 500 cc Triumph Tiger, chopped hardtail. This bike was quick & close to the ground. You had to be careful not to lean to far on the corners. Owned this 1977/1978. My first new car. 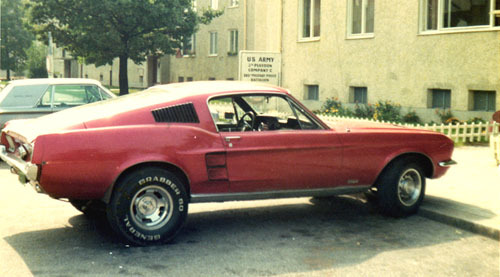 I bought this Limited Edition, V-6 Mustang new in 1979. Bought in 1979. 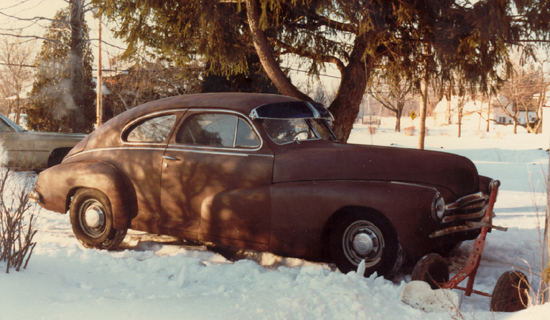 A 1948 Pontiac street rod project. Original motor & trans. I drove this one but it never really got finished before I sold it. 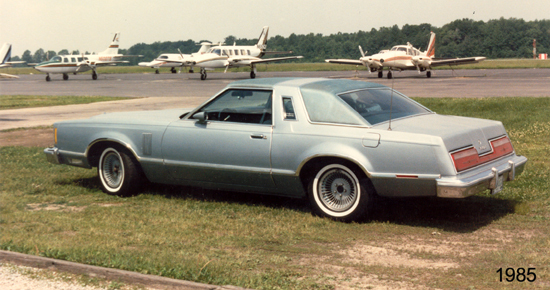 Traded for a Lincoln Towncar in 1981. 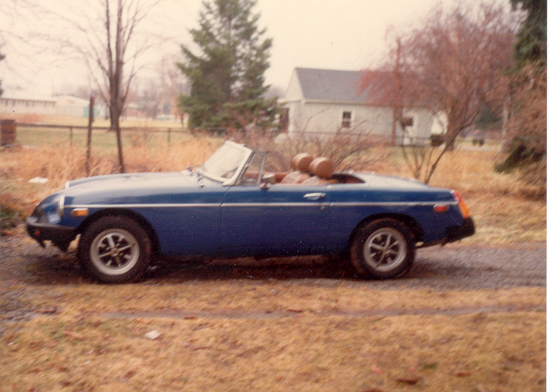 This is a 1975 MGB with a V-6 Mercury Capri motor & automatic trans. Couldn't keep motor mounts in it. My first restoration. 1981. Car was rough when I got it. Trunk was gone. 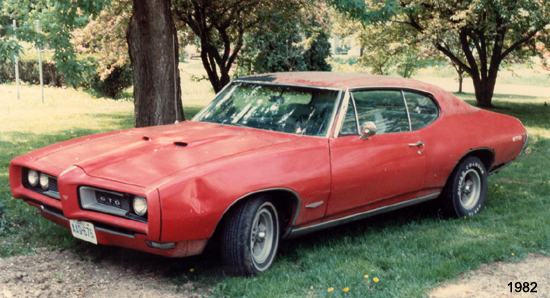 Bought this 1968 GTO for $500 in 1982. It was a numbers matching car. Used it for a driver & beat it to death. 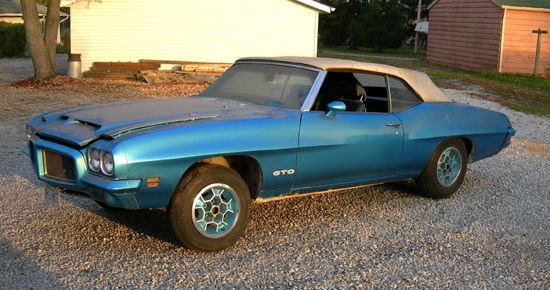 Sold it, then got it back about a year later, from a salvage yard. Ended up parting it out. A 350 C.I. 4 speed car. Purchased in 1983. I owned this one for a couple of years. 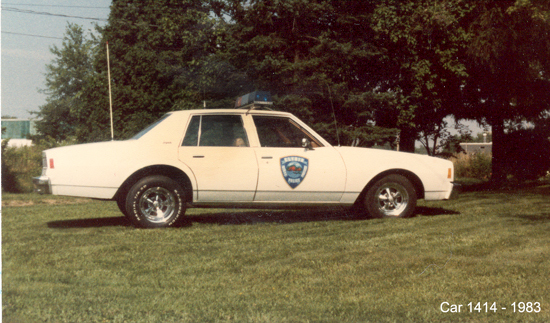 City of Elyria Police Car #1414. This car was assigned to me & I drove it home. 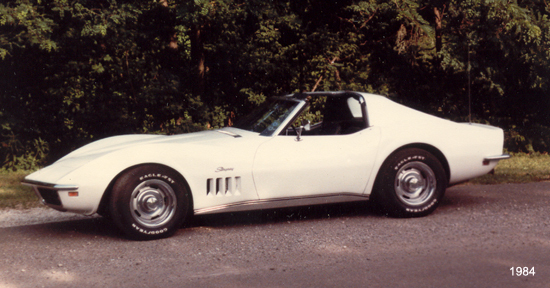 The bosses failed to see the humor in it when I jacked it up and put the rims & tires off my Corvette on it. 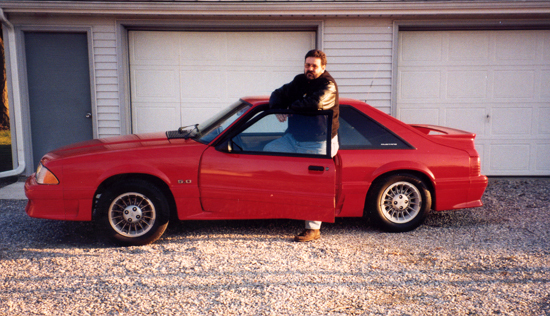 I bought for a daily driver in 1985. I bought this from a co-worker in 1988. It only had 24,000 miles on it and was like new. It was a 4 speed car. No AC, it was uncomfortable to drive when it was hot out. 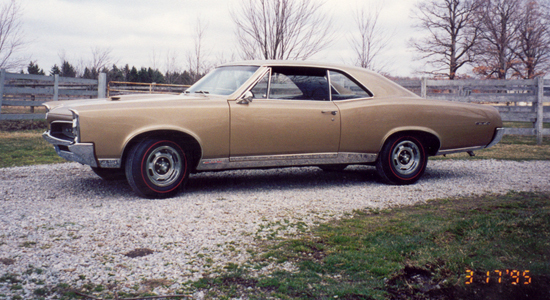 I owned this pair of 66 GTO's in 1989 /90. 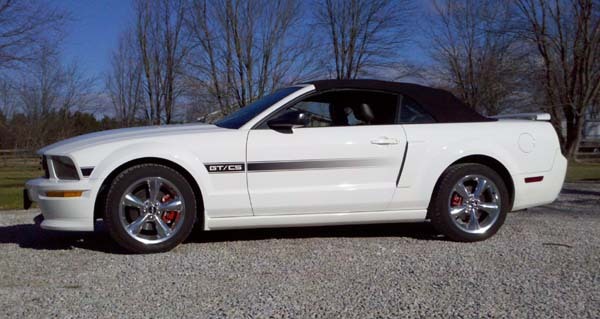 I bought the convertible, 4 speed car from a co worker. 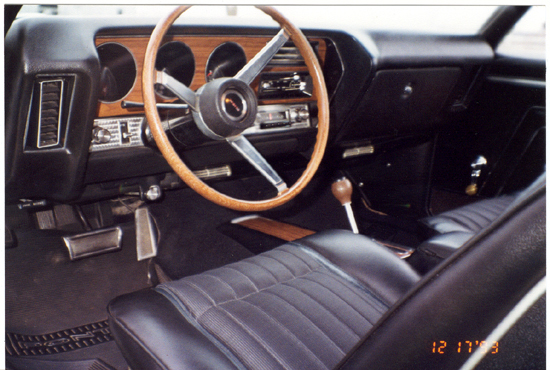 While I owned it I put the correct wheels & tires back on it & restored the interior. I found a correct, numbers matching motor for it, but it never got installed. The previous owner bought it back from me. I received the Black /Blue one as payment for some work I did for a local tow company owner. 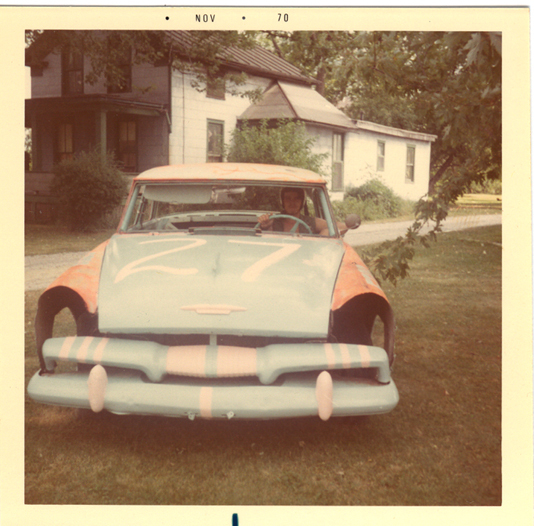 He built the car, drove it for awhile, lost interest and parked it in the back of his shop. When I saw what it was, a deal was made. It was a 400 / 4 speed car. In 1990 we bought a pair of 1977 Can Ams. Our German exchange student, Tanja,& the Trans Am she learned how to drive in. 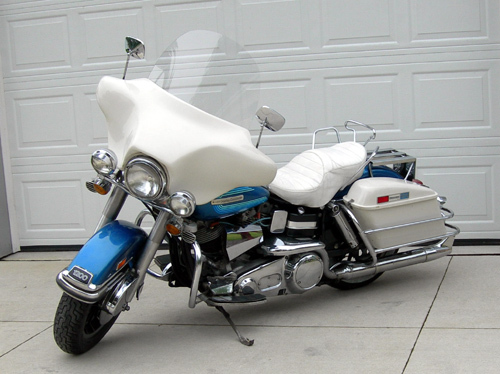 Bought from a used car lot in 1990, Tanja drove it to school everyday, once she got her llicense. 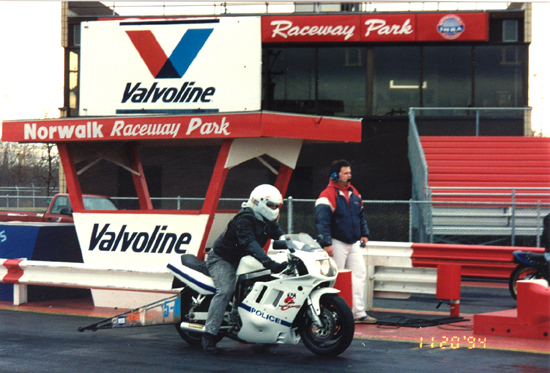 Yamaha YSR 50 Pit bikes for the dragstrip. These little monsters were capable of 60 mph if you had the stones for it. Orginally used to transport illegal drugs around the neighborhoods of a nearby large city. They were impounded by police & ultimately sent to salvage, where I was able to buy two of them. I still have one of them sitting in my garage. This is one of my favorites. 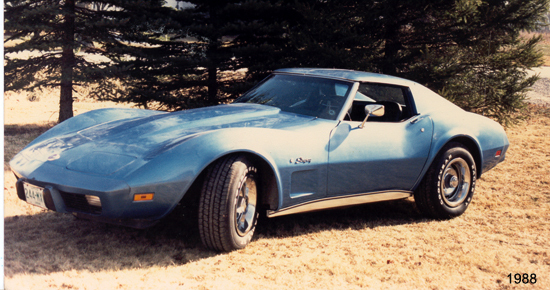 I bought this 1970 RAIII numbers matching AC car in 1993 at a Pontiac or POCI event in Independence, Ohio. It sported Judge stripes when I bought it. I took them off. 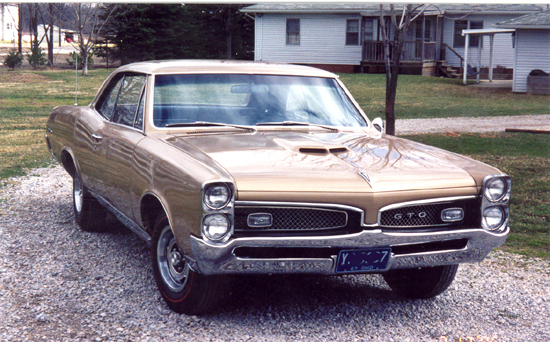 This car garnered the most looks,& trophies, drove & rode the nicest, & was one of the quickest GTO's I owned over the years. I got pretty attached to this one. The previous owner bugged me until I finally agreed to sell it back to him. 1994. My 16 year old daughter makes her first pass at Norwalk Raceway Park. was missing and the front clip was off. It did have a 428 Motor & M-22 that came with it. Complete restoration took about a year. Drove it six months & sold it.. 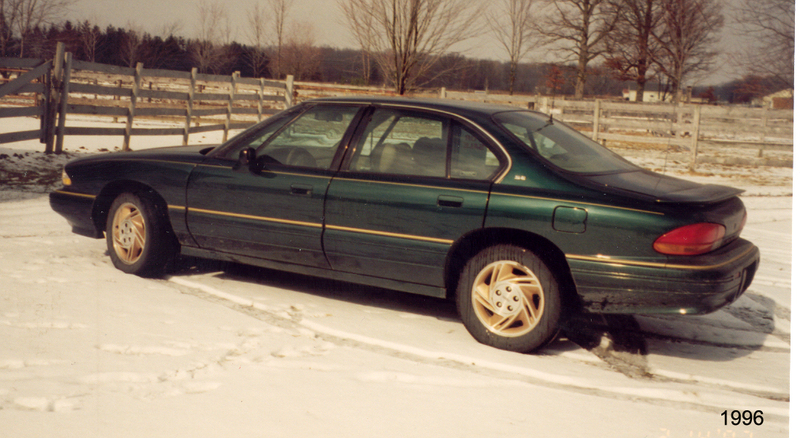 This Bonneville was my daily driver in 1996. It had a Saddle interior. This was a nice car. 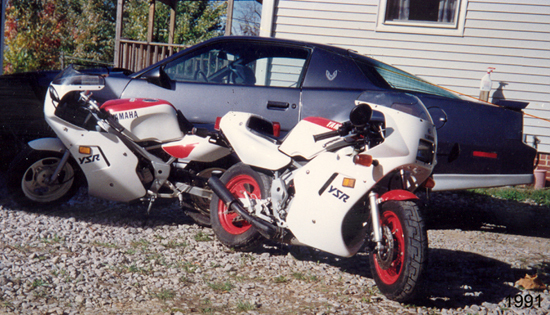 In 1995 I decided to give up GTO's and start playing with motorcycles, specifically Harleys. 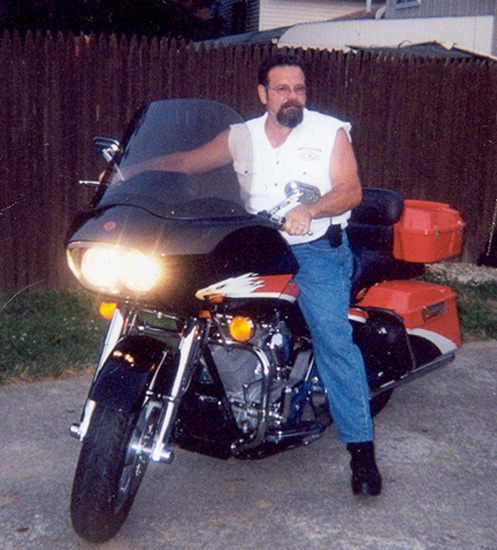 I had been riding an 82 Shovelhead while working plainclothes for the city. Went back to uniform & had to give up the bike. I bought a banged up, repo'ed 1200 cc Sporty to get me started. 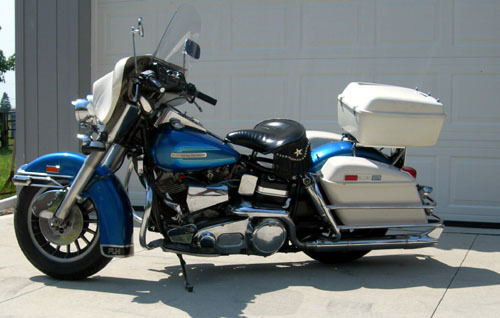 In 1996 I traded the Sporty in for a new Police RoadKing. 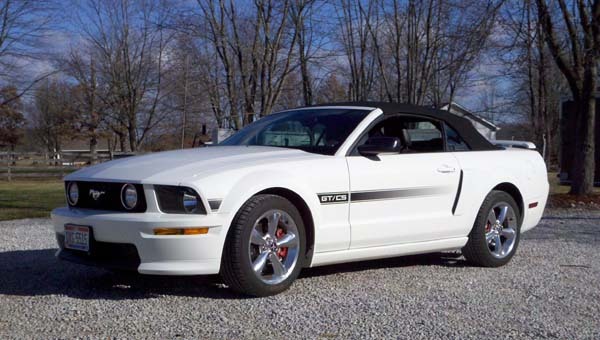 For a while, almost every unmarked police unit in the city was a 5.0 Mustang. I had several. This one was a 5 speed. It was assigned to me & I drove it home. It was ultimately burned for a police arson investigation class. 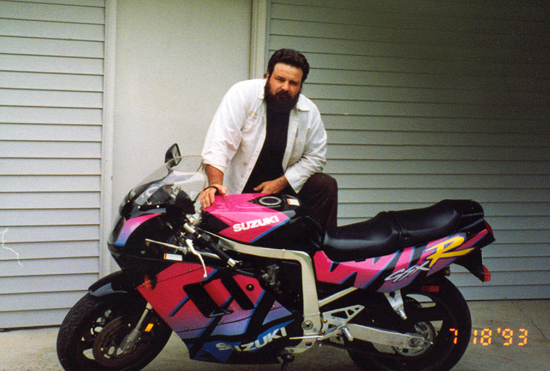 About 1994 I started a non-profit, anti-drug, motorcycle drag racing program, with a GSXR 750 Suszuki that was seized from a drug dealer and donated to the race team by the city. We raced as part of the "National Race Against Drugs" program. Seized with less than 2000 miles on it, the city saw fit to donate the bike to the non profit anti-drug program I started. 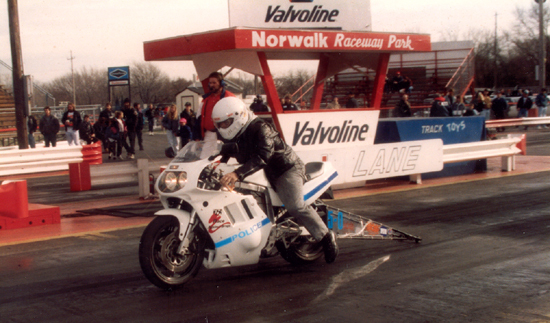 This is the before picture This is the after picture, as I take the bike for a low eleven, high ten second pass at Norwalk Raceway Park. We later added this ten inch car tire Suzuki to the race team. While I made a passes on this one I left racing it to my team mate. The race team lined up for a parade in 1995. My red Dodge truck was the race team tow vehicle. 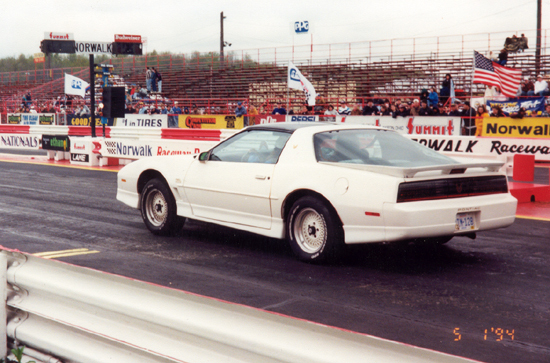 At Norwalk Raceway Park, High School Nationals, 1996. 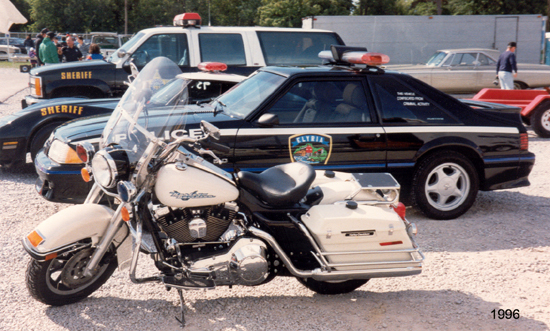 My 1995 Police RoadKing, a recovered, stolen 5.0 Mustang that was converted to a marked unit, and a Corvette that was seized during a drug raid, by the local sheriff, and converted into a marked unit. All part of the Anti-Drug effort, all made passes that day.. 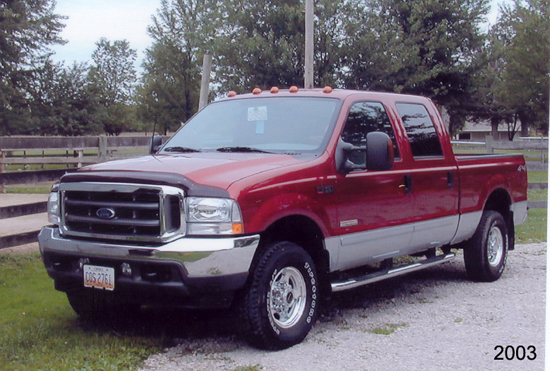 I ordered this loaded, top of the line, 2003 F-250 6.0 ltr Diesel new in 2002. Waited for ever to get it. In the four months that I owned it, it spent 45 days in the shop for repair. Oil leaks, diesel squeezing past the o-rings & displacing the antifreeze, entire front clip & motor removed, unauthorized repairs to the rear of the motor in an attempt to stop oil leaks. Ford refused to do anything intelligent to address the issues... I filed for arbitration and Ford was forced to buy it back. Replaced it with a 2003 7.3 F-250 & added an 80 hp BD chip. Purchased in 2005 from the collection of a good friend. 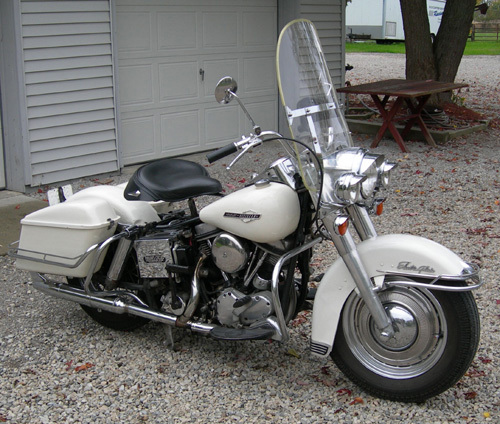 This is an original paint, 1965 Panhead, ElectraGlide, with under 16000 miles and the original, special order, Birch White paint. 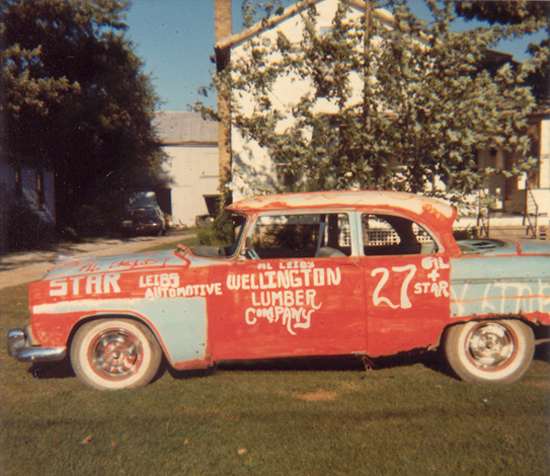 The paint has 42 years of patina. The front wheel is covered by a pair of auto hubcaps that were installed when the bike was fairly new. In 2001 I retired from the P.D. & went to work as a part time tech at the local Harley Shop. I turned the race team over to the younger guys. 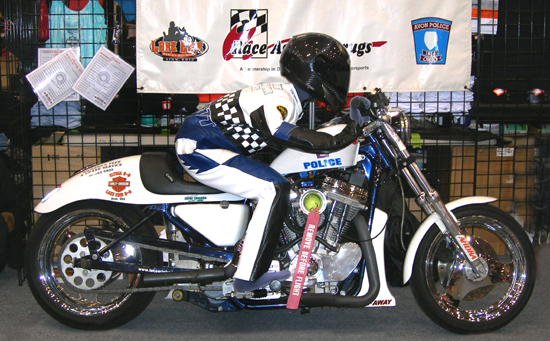 We got the idea to start a second non-profit anti-drug race team at the Harley Shop. We started with an eleven second Buell & added this AHDRA Hot Street Sporty later on. 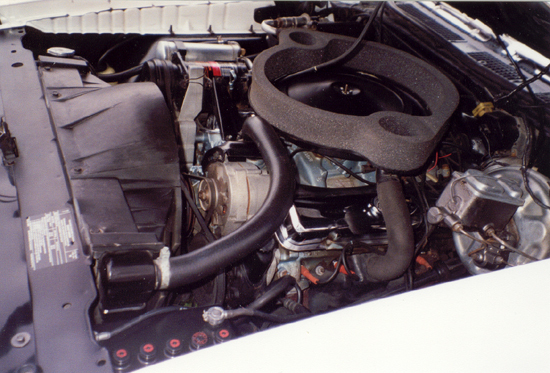 The motor was built by Carl's Speed Shop in Daytona. This street legal sporty runs high nines to low tens, no juice, no electronics, no air & no wheelie bar. AHDRA, Hot Street in 2003. 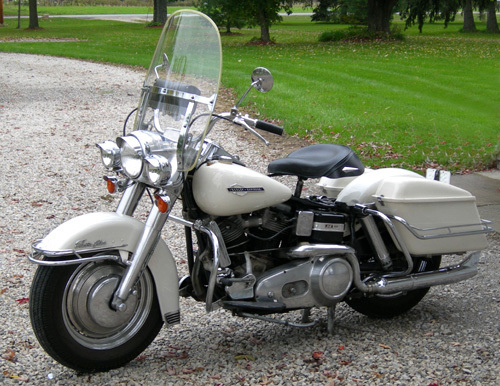 I bought this 1976 Original paint FLH Shovelhead from the third owner in 2006 and sold it last year. I put the solo seat on it. 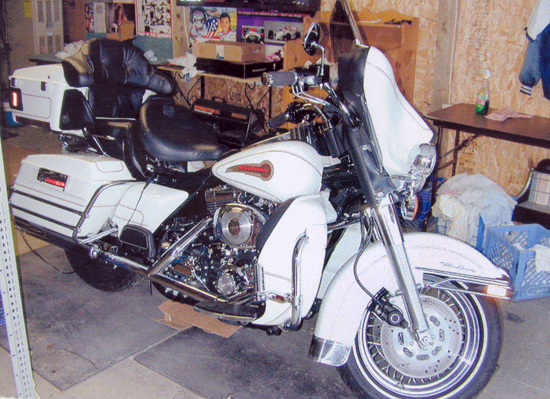 My Bikes, 2006, from left to right..
65 Pan, 02 Police RoadKing, Screamin' Eagle ElectraGlide and 06 ElectraGlide Classic. 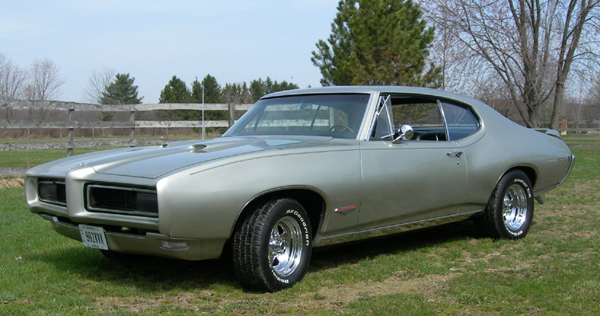 Bought this PHS Documented, 1964,tri-power, 4 speed, numbers matching, California Emissions GTO, in the Spring of 2007. Drove it for the summer & sold it in the fall. 4 speed. Started the restoration, had some health problems, & had to sell it. Bought this 64 in 2008,for parts, & sold it. Hotrod Power Tour and sold in 2013. My 68 GTO Used in this music video. The audio of the car going through the gears is this car. for four summers. Sold 2014. Last I heard it's in Texas. My 1967 Lemans, 2012 POCI Senior Gold Surviver. 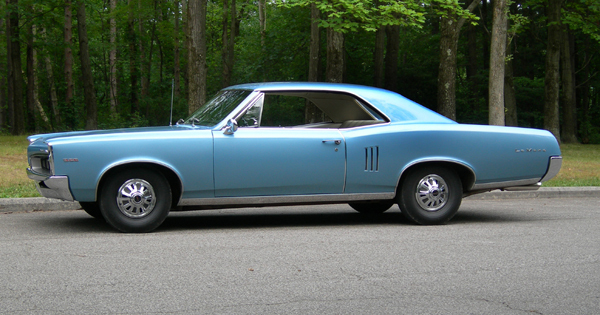 It was a California emmisions car, presented in its original Cameo Ivory exterior, with a repaint, and Blue interior. Original 335hp, EX coded 389 motor with Carter AFB. 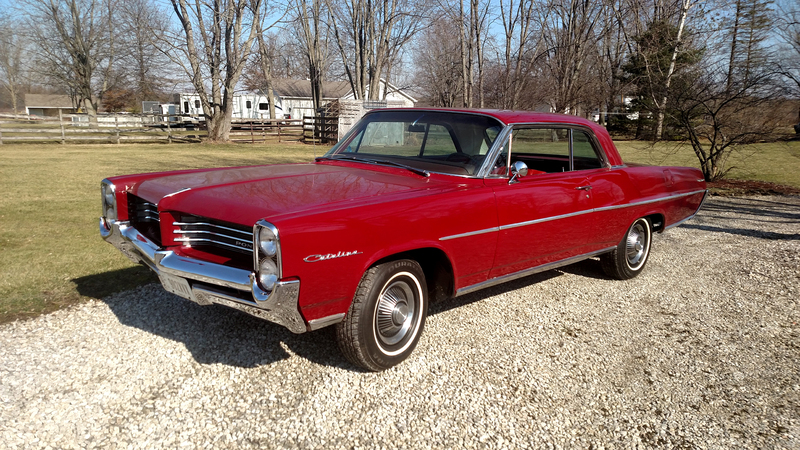 1964 Catalina. Original 389 with a 1967 Grand Prix turbo 400 trans. 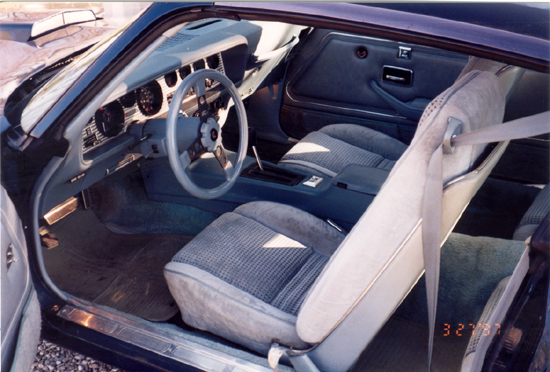 Bucket seats, column shift, posi, air conditioned car. Bought January 2017 from the widow of it's former owner. Had not ben run in three or four years, wouldn't start. Got it Running. Purchased in 2016, sold in 2017.